BOSTON, MA--(Marketwired - March 20, 2017) - MENTOR: The National Mentoring Partnership (MENTOR) is excited to announce the appointment of two dynamic leaders to its Board of Directors. Bob Carr, founder and chairman of the Give Something Back Foundation, and Scott Sobel, co-founder of Valor Capital Group, bring a wealth of experience in different sectors combined with a shared commitment to volunteerism and impact in their communities. "Expanding our board of directors with volunteer leaders who bring unique experience, perspective, and belief in the central role of quality youth mentoring in expanding opportunity for our young people advances the organization and the movement," said David Shapiro, MENTOR Chief Executive Officer. "Bob's business and philanthropic expertise and commitment around the importance of mentoring in a young person's ability to access and persist through college , along with Scott's diverse entrepreneurial experience and global commitment to enriching lives will build upon the talents and networks our board brings to the table." 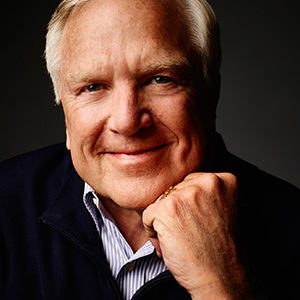 In addition to being founder and chairman of the Give Something Back Foundation, Bob Carr was most recently the founder and CEO of Heartland Payment Systems before its acquisition by Global Payments. He also served under President Obama on the National Infrastructure Advisory Committee. The Give Something Back Foundation provides academic mentoring, social guidance and college scholarships for students from lower-income families. "Mentors make the difference," noted Carr. "When I talk to educators -- whether they teach at an elementary school or serve as the president of a large university -- they invariably cite mentoring as one of the most important tools for academic and emotional success." 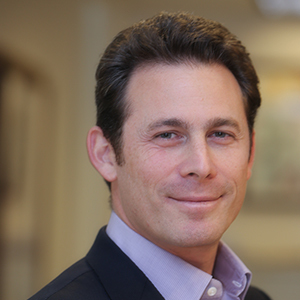 As co-founder of Valor Capital Group, Scott Sobel is also Managing Partner of Valor's Venture Capital Fund. Previously, he worked in multiple positions at NCR Corporation, most recently as VP of Emerging Markets. Sobel's background also includes extensive experience in technology companies which went public or were acquired. "I am a strong believer that mentoring is the foundation for providing impressionable youth with opportunity and access, which can make a world of difference in their lives," commented Sobel. "I am looking forward to being a part of MENTOR's leadership and continuing my personal mission to enhance the lives of young men and women in America, and I know I'll learn as much from them as they learn from me." MENTOR is the unifying national organization for expanding quality youth mentoring relationships and connecting volunteers to opportunities in their local communities. MENTOR's mission is to close the "mentoring gap" and ensure our nation's young people have the support they need through quality mentoring relationships to succeed at home, school, and ultimately, work.